Temi tea garden in Ravangla, south Sikkim is the only tea garden of Sikkim considered as one of the best tea gardens in India. It is renowned for its quality of tea produced which has great demand in international market. You can read all about it on Wikipedia. 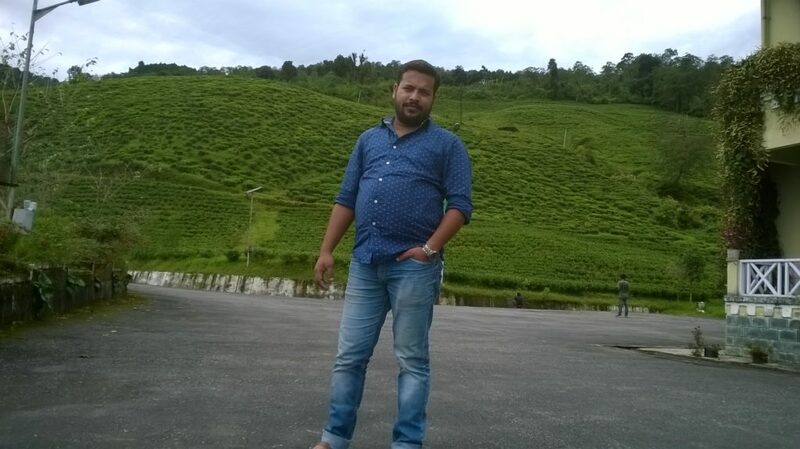 So let me share all details which would help a tourist or traveller on his trip to this magnificent tea garden. I visited Temi tea garden for the first time back in 2005 while going to Pelling from Gangtok. 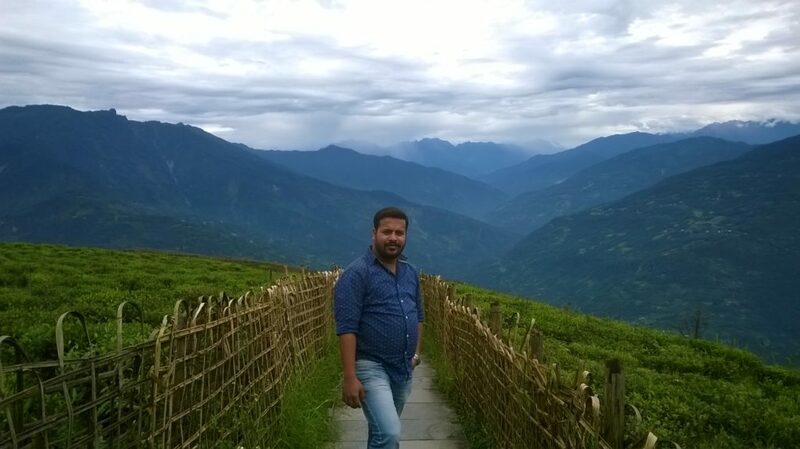 I could have taken the general route from Gangtok to Pelling which most of travellers would take but I decided to go via Namchi and Temi tea garden in Ravangla. I didn’t stay there on my first trip because we had to move to Pelling. On that visit I spotted the beautiful Bungalow named as Cherry Resort and wondered if I could spend a couple of nights there. I couldn’t make it but decided to visit again to spend a couple of days there. With this intent, I visited Temi tea garden 3 more times including my last trip (dated as 5th Oct, 2017). Now I can say ‘WOW-What a place’, ‘what a resort’. It was not a personal or leisure trip but a business trip last time. I accompanied my colleague who intends to invest in some properties in Sikkim and he chose Borong as one of his prime locations. Borong is a hamlet in south Sikkim, few kilometres drive from Ravangla. 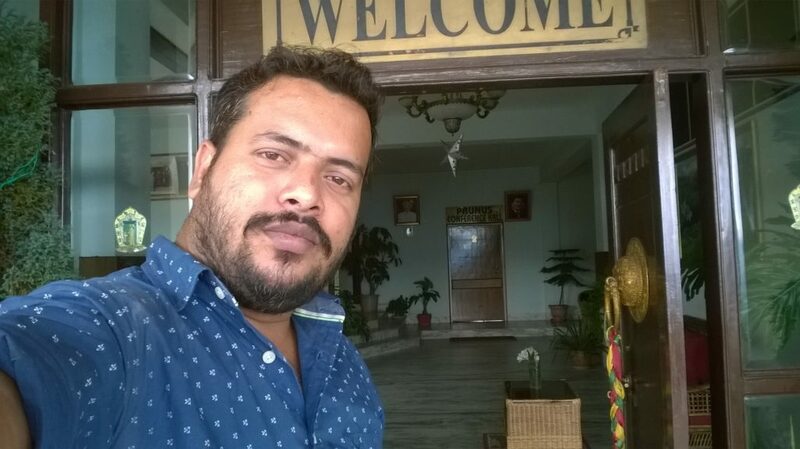 We visited Temi tea garden on our way while returning from Borong and going to Gangtok. With time even the beauty and glory of a princess loses but it is just opposite in regard to Temi tea garden. I found the same charm and beauty there with such breathtaking view of the tea garden across the hills. The landscape and the view of the Mt. 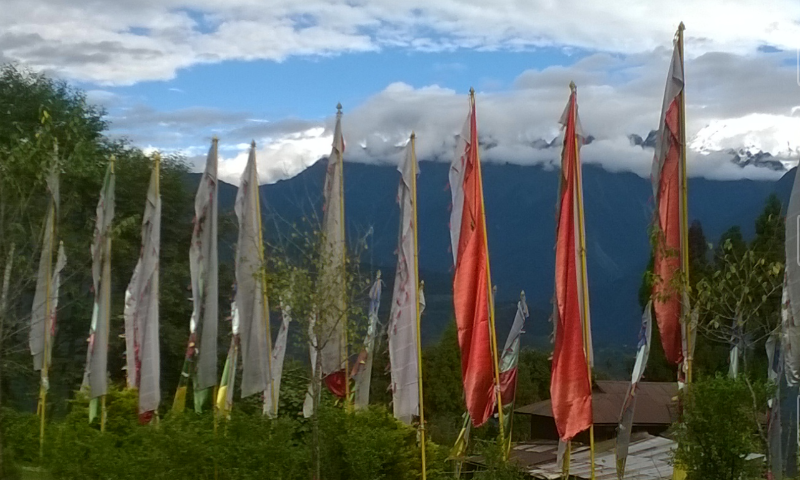 Kanchenjungha makes the place a must visit destination for tourist travelling to Sikkim. Spending couple of nights at Temi tea garden amidst nature would surely be a memorable experience to tourists and nature lovers. 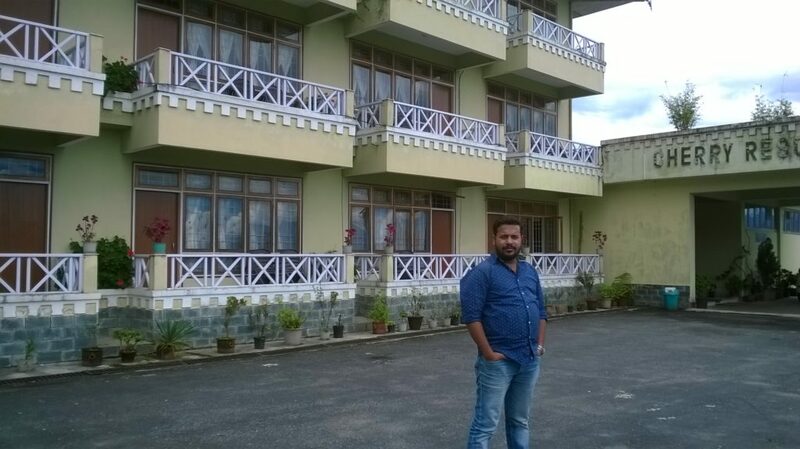 I like spending couple of nights staying at Cherry Resort and enjoy the beauty of nature. It is a heaven like experience when you sit idle with a cup of tea in hand and look across the green hills with the gigantic snow peaked Mt. Kanchenjungha above the hills. Cherry Resort has got such a beautiful terrace where you can sit for hours and look at the beauty of nature for hours. The terrace is huge and you would not feel like getting into your room but stay more and more time on terrace. Just request for a cup of tea and you need nothing else. The tea plant just nearby, is another attraction for tourists. 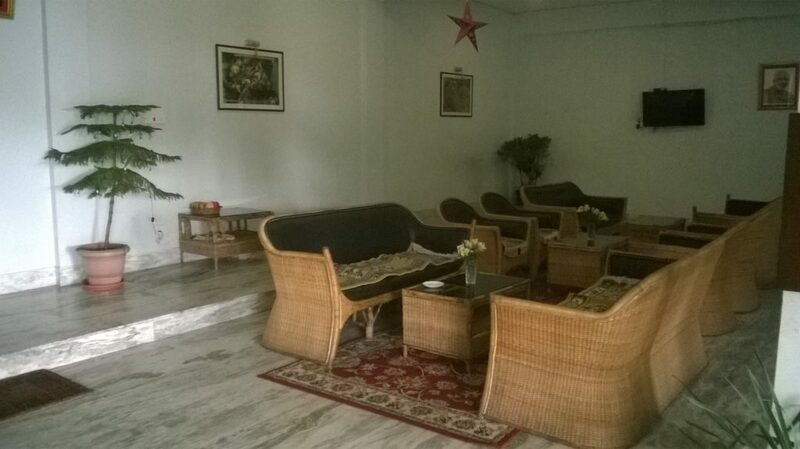 You can request the manager of the property and he would arrange someone who would accompany you to the tea plant. You can see how they make tea from the tea leaves which are sold in international market. You can interact with the labourers; learn so many things that one would usually don’t know about tea making and manufacturing. 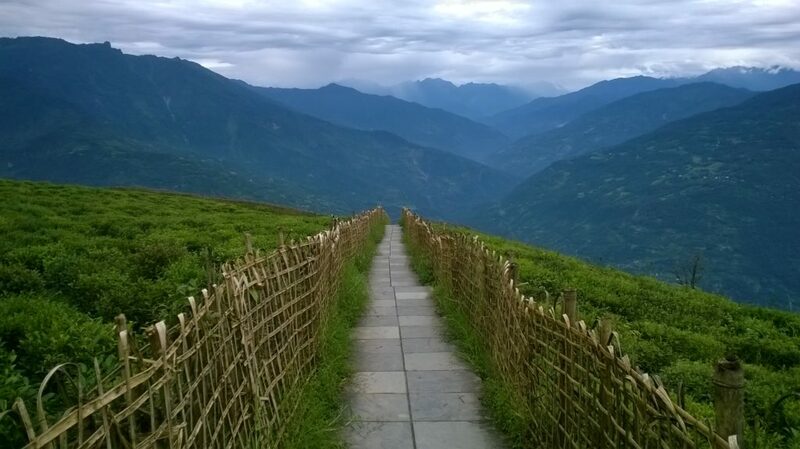 If you are planning a trip to south Sikkim and Namchi, make sure you visit Temi tea garden. Do not hesitate to shoot a mail to me at uvreachedavi@gmail.com or give me a call on my mobile 9831540384 anytime you wish for. I would always be available to help you out with all details an information. 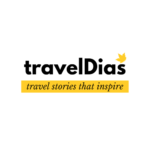 Stay tuned to TravelDias Blog section for more write-ups on south Sikkim and nearby places. I would also keep posting about all new places and offbeat destinations I discover in near future. Keep travelling.